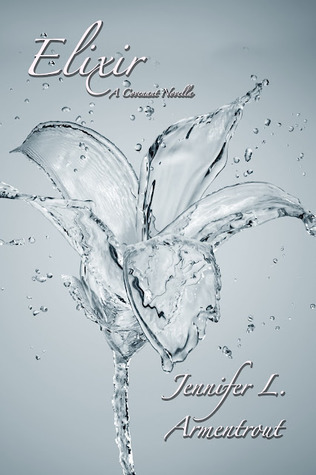 Elixir is a novella of Jennifer L. Armentrout's Covenant series and falls between Deity and Apollyon. Even if it means making way against the gods. So I know I usually give you a numbered breakdown of the books, but this one is so short, only about 75 pages, that I am not going to bother with that. I was so excited to see a story from Aiden's perspective. I love that JLA shows the struggle that Aiden is going through with Alex's Awakening, and how to he is dealing with the choices that have to be made. Although, I think my favorite part is when Aiden is describing the first time he saw Alex. It just went to show how much he loves her, and how long her has waited for her. I cannot wait to see how his decision in the end affects the next book.